BuddhaHand: A Blessed BuddhaHand - How is done. Should the BuddhaHand be blessed? If you are going to place it on the altar, I strongly you get it blesses. 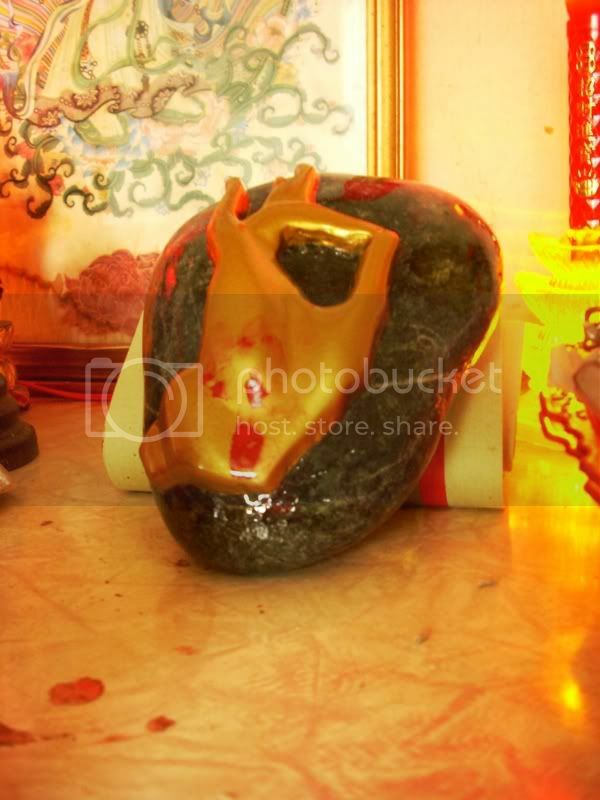 You can easily get it blesses or "Tiam Gan" by the high monk/sifu of your favourite temple. Here is a piece at my old house in Kangar, Perlis. My brother took it to Cher Yang Khor Moral Uplifting Society and has it blessed. You notice the "RED" brush marking on the stone? I applied a coating of clear lacquer spray to protect the brush marking. The idea is later you can clean it with clean flower water. 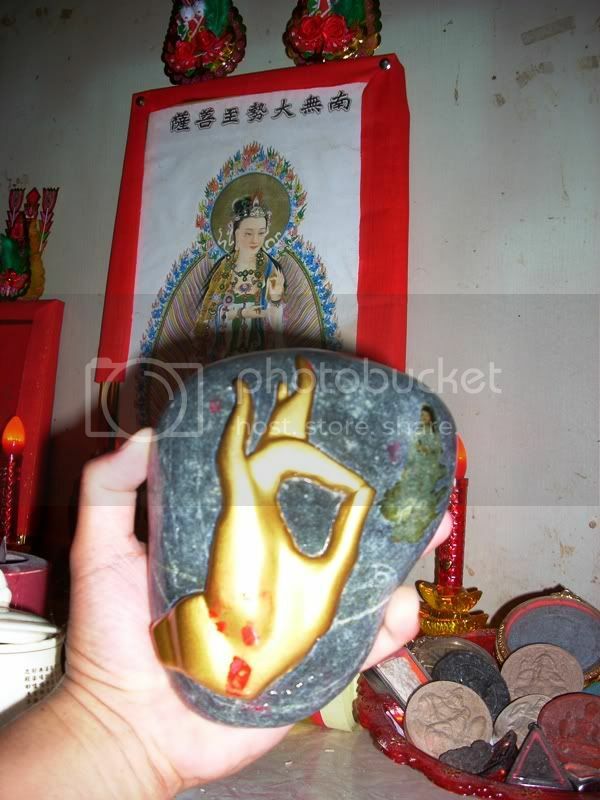 With a blessed BuddhaHand stone, now you can "feel it and be touched by it". Isn't it how you want to engage the Kuan Yin in praying? YES! You touch its hand. Make sure your hands are clean before you touch it!